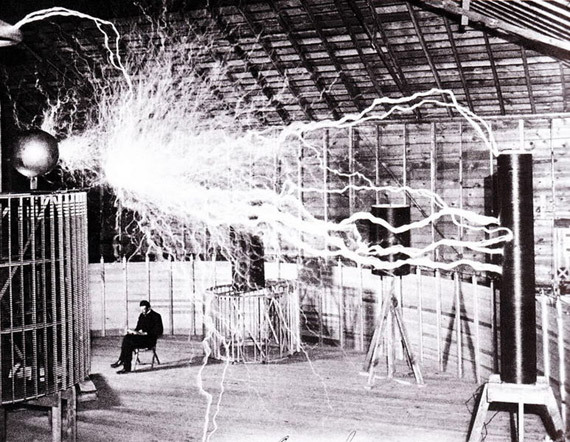 Nikola Tesla, just hanging out in his Colorado Springs lab, December 1899. The all-day energy has officially kicked in. I knew it’d happened the first morning I forgot to have a cup of coffee. I sat down to breakfast and had this feeling in my legs, like someone had charged them up overnight. I don’t think I’ve had restless legs since the ’90s, so I just went with it, and so far I’ve doubled my usual number of steps per day. Last night, I was loading the dishwasher, and my jeans fell straight to the floor. I still miss pizza, but this might be worth it. Lunch: Missed it. Not my best move. Dinner: Greek salad with grilled chicken, Roma tomatoes, artichoke hearts, banana peppers, Kalamata olives and homemade vinaigrette. Next Post Whole30 Days 21-23: Oh, come on.